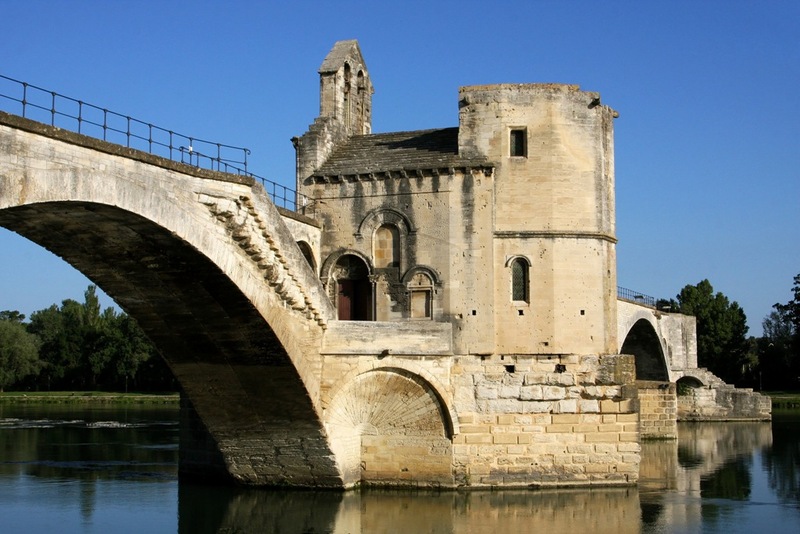 The Pont D’Avignon or Pont Saint-Bénézet once had 22 arches. 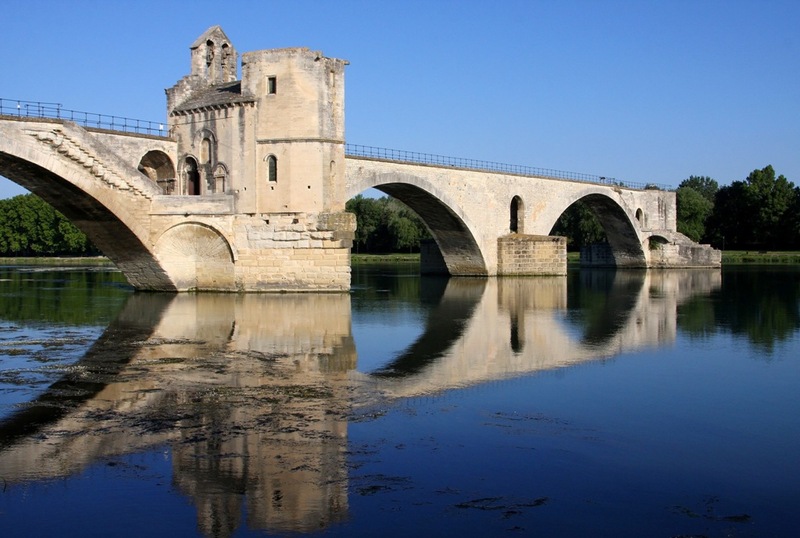 The bridge was eventually abandoned as the arches took too much upkeep due to being damaged when the Rhone River would flood. The four remaining arches are believed to have been built around 1345. My morning started with a 45 minute walk along the outside of the city walls to this landmark. 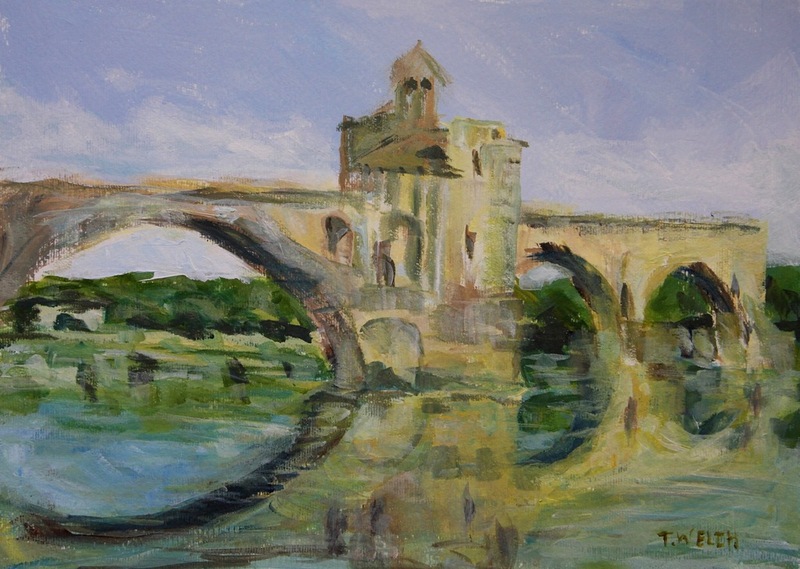 The bridge was the inspiration for the song Sur le pont d’Avignon which is impossible not to hum while I decide on a spot to settle and paint by the river for another 45 minutes. 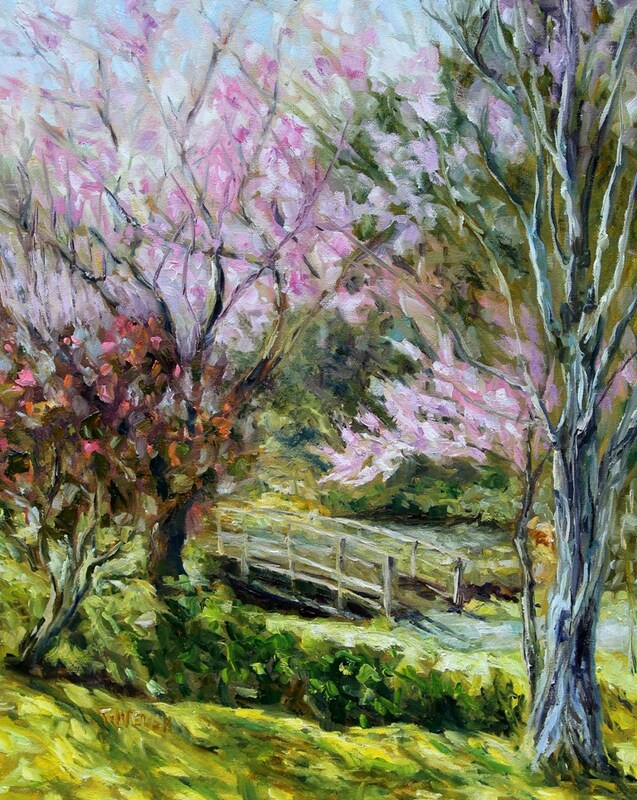 I want to paint this composition but cannot find just the right shelter for my canvas from the morning sun that will then also offer enough footing for me to stand. So I move a little farther along the bank and settle close to this vantage point. My intention with this acrylic painting sketch is to capture a first glimpse when our mind is still constructing the relationships between the various parts. I like to call this process painting the spaces in between. As always, the morning light changes quickly and even in 45 minutes there is this blending of time. A good mornings work but I want to go up high tomorrow and try another painting sketch. 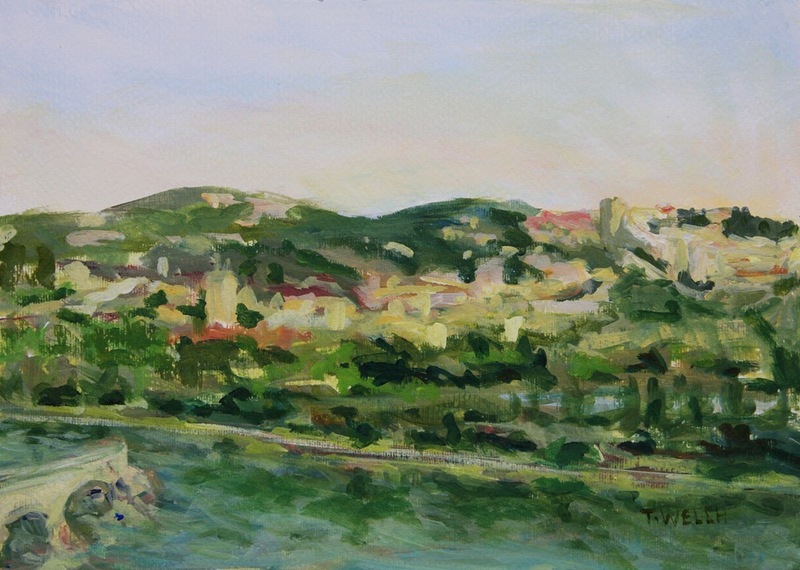 Climbing up into the gardens to the westerly viewpoint in Avignon early on a June morning is magic and mystery. Across the way there is the Villeneuve lez Avignon with the broken Pont D’ Avignon below falling short of the reach across the Rhone River. The scene is not as easy to compose as I had initially thought. 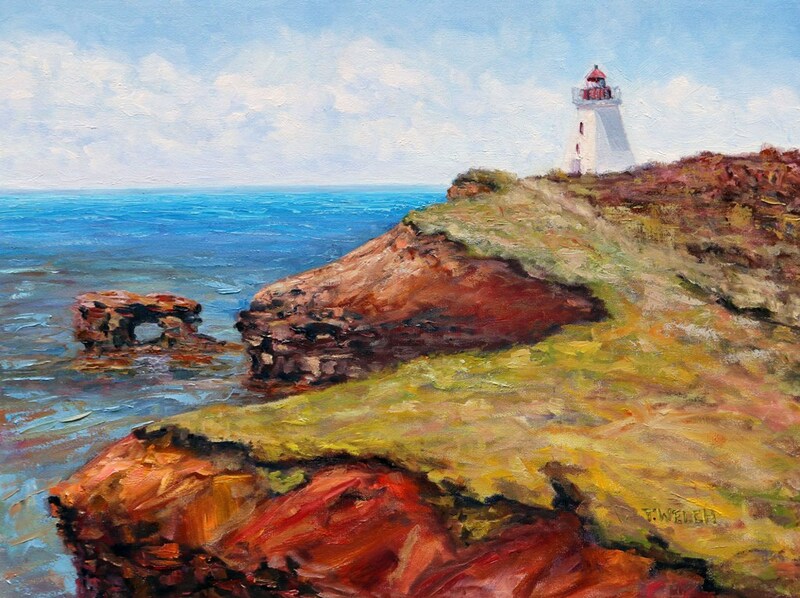 I move here and then there and then back to here and finally set up the easel and paint. What I was struggling with is my desire to have the castle looking monastery which I have brought in closer in this photograph for us to enjoy it in more detail. and the tower in the same frame and at the same time not have the bridge lost by the trees along the bank. 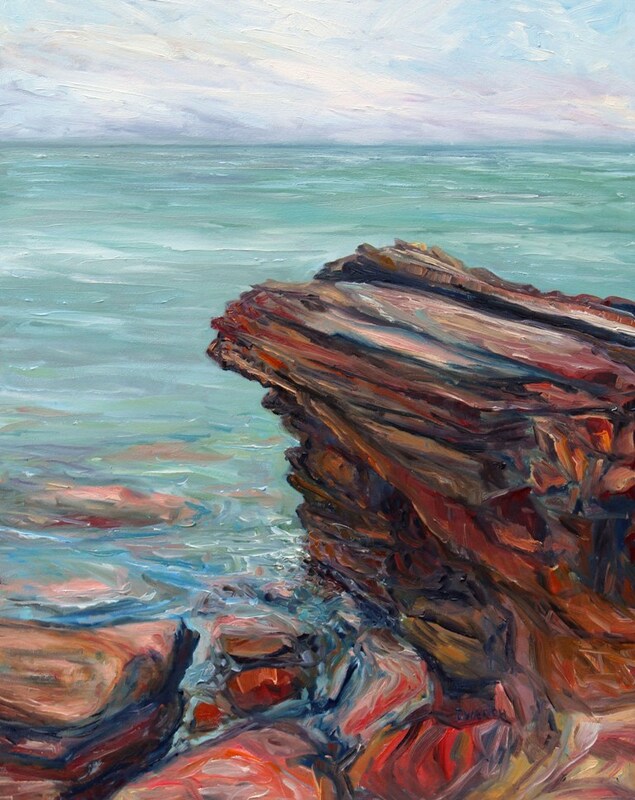 In the end I crunched my composition slightly in my mind’s eye to accommodate the canvas dimensions and my desires. Then I pick up the brush to see what will happen. The light is changing quickly but there is still time for my eyes to rest on the scene. They do not. Fluttering across the landscape, with the same sweeping loops as the swallows above, I do not hover or allow my gaze to settle. I search for…. something and maybe nothing at all in the vast countryside – where last evening’s gypsy music and the chiming clink of hands moving to mouths along the narrow streets of the old-city still echoes in the sleeper passages of my consciousness. There it is with the painting compositional problem only partially resolved. 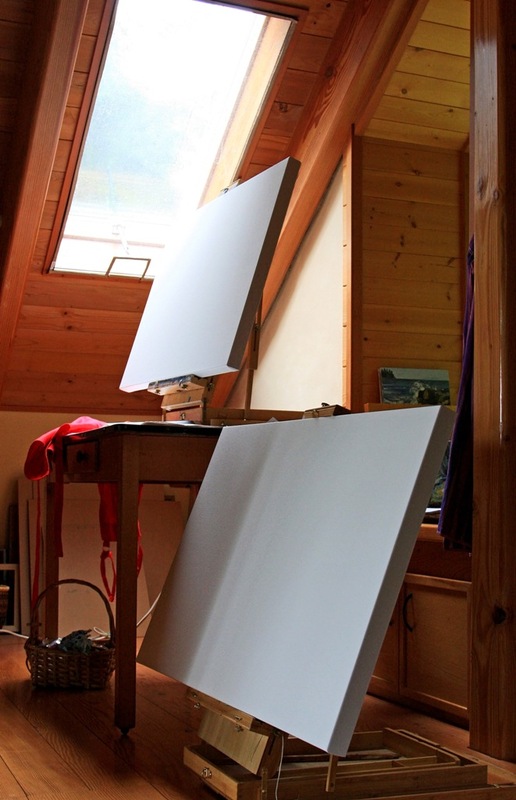 I commit to finding a larger lengthier canvas when I get back in the studio so that I can give it another attempt. 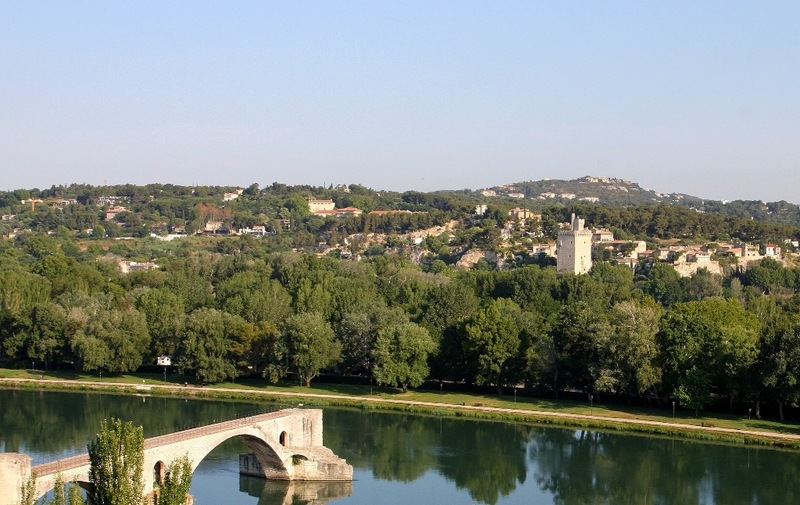 The Avignon landscape is unmistakable even 171 years later. 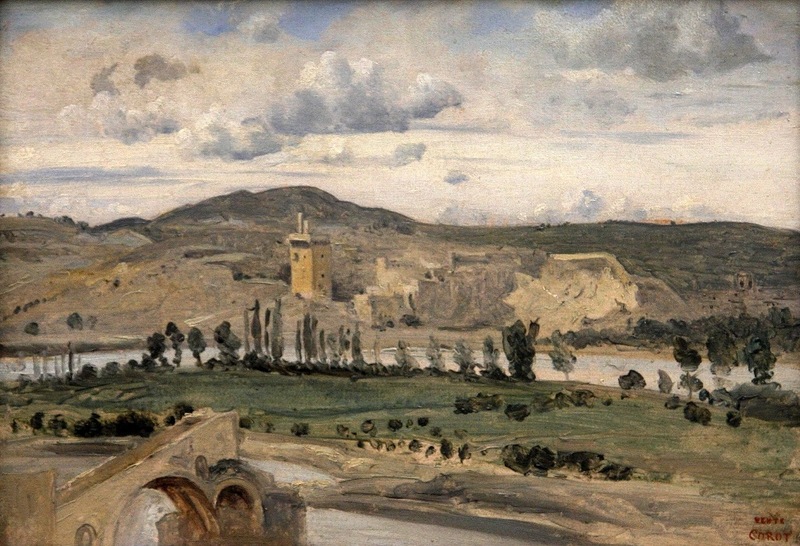 On the way to his third trip to Italy, Camille Corot stopped at Avignon in May 1843. 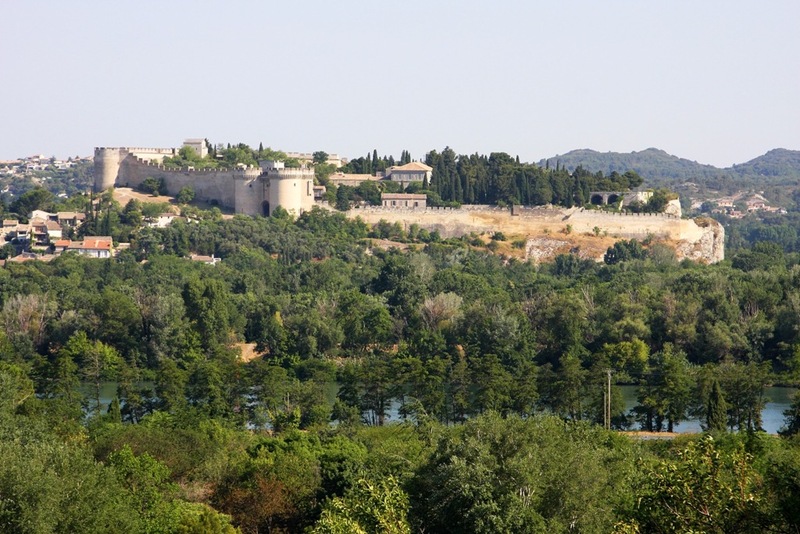 Foremost among the ruins of Saint-Benezet bridge, beyond the Rhone, Villeneuve clearing by the Philippe le Bel tower. This painting was donated to the Louvre by Etienne Moreaue-Nelaton in 1906. I had not seen images of this painting by Corot before nor did I know of its existence but I knew at a glance where it was painted and said to self – he must have painted it from up by the church to get that angle. 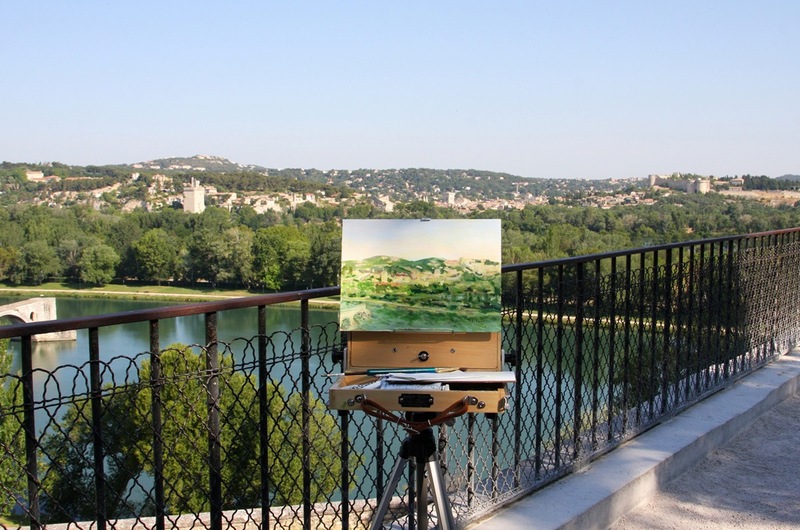 All I wanted to do at that very moment is catch then next train back to Avignon and climb the hill and look for the exact spot that he would have stood to paint as the compositional challenge I had been struggling with was resolved by this placement of artist and easel. This is the beauty of combining studies of painting location with visits to the work of old masters! 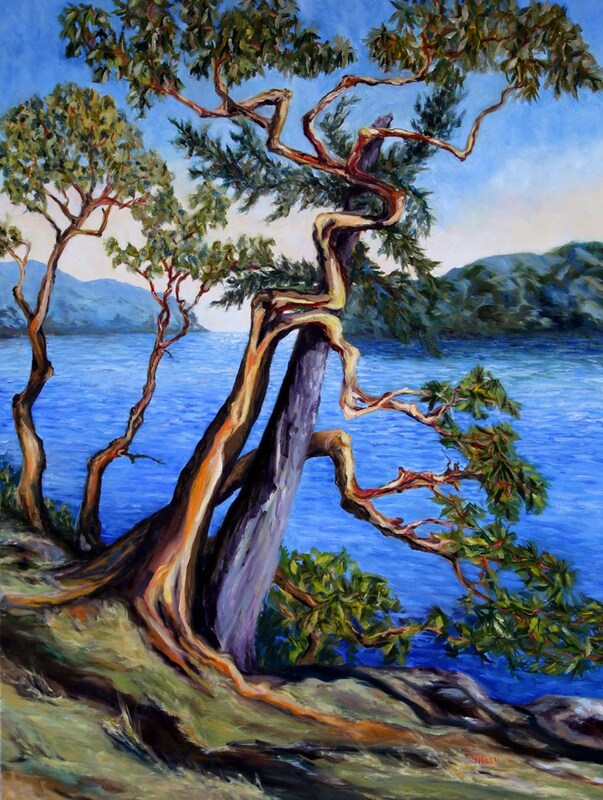 Our learning as painters never ends as it is picked up and looped through time and place with our brushes. Camille Corot was born in 1796 Paris and died there in 1875. 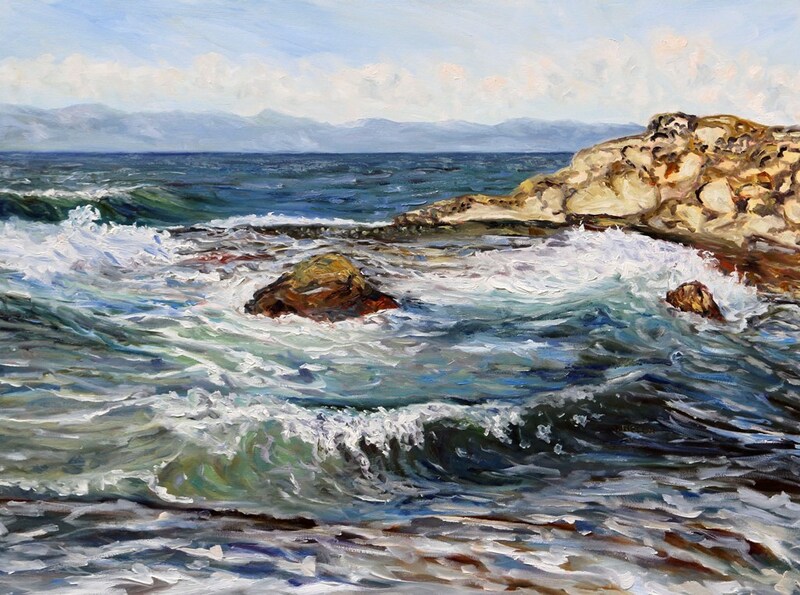 He traveled a few times from France to Italy to study the work of masters as was common for artists then and to some extent even now – hence my own trip to Europe. Corot is credited as bridging a shift between the neo-classical tradition of landscape painting and plein air painting, which lead the way towards impressionism. Camille Pissarro (1830 – 1903) was supposedly briefly one of his students. But where did the Italian painter Giovanni Fattori (1825 – 1908) fit in? I see similarities in this particular painting by Corot and the work of Fattori whose paintings I became familiar with during our time in Florence Italy. Had Fattori ever met Corot or been his student? I didn’t find the answer to my question but I did discover a detailed write up by Jeanne Willette on the Barbizon School and landscape painting which both artists are associated. So as you can see, I have months and even years of continued discovery, exploration and painting to do as I unpack and breathe familiarity into our travel adventures. I think it is obvious that more than the trees have changed since Corot painted in Avignon. 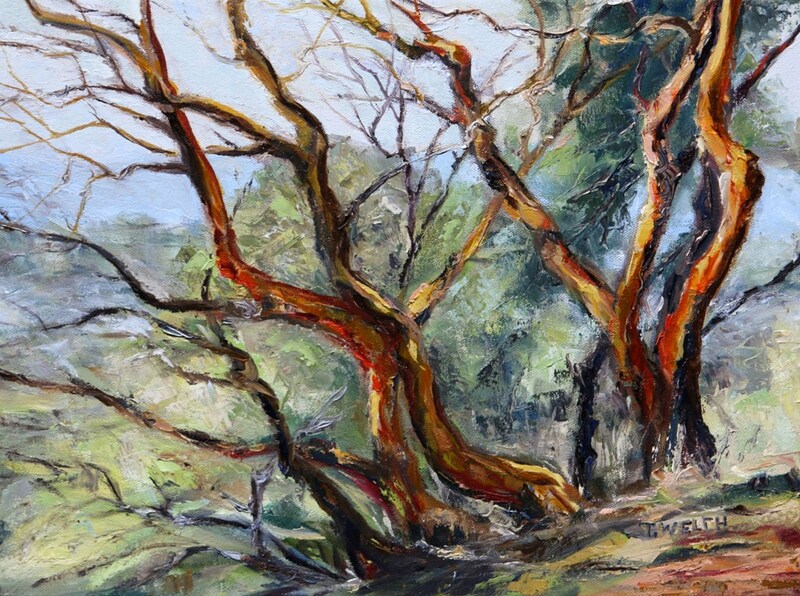 Painting itself has been through a few revolutions and I believe this process continues. 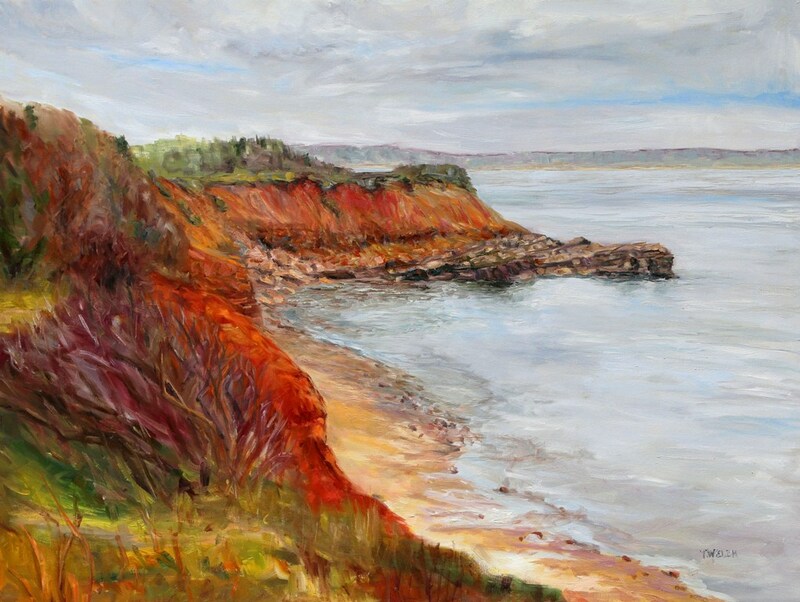 I must in fact as I have two 26 x 36 inch canvas ready on this Canada Day weekend to begin the process of revisiting my painting sketches and references images. What have you seen with fresh perspective through the eyes of an old master recently? I read, fascinated, about how you decide to paint a scene. Who knew so much thought went into it? (Of course it does, but I have never thought about it.) Yes, one could contemplate impermanence from this post. I thought you might think so. You would indeed be intrigued then Kathy by all the sketches, studies and often several paintings that many of the masters did of a particular scene or idea. In someways I think many contemporary artists have abandoned this idea in its original intention. It has been replaced with the use of a series of work on the same subject. I am not sure this digs as deeply into exploration or perfection as the practice of drawing or painting sketches and painting the same subject several times. Very lovely sketches, look forward to seeing where they take your work. Oh, and welcome home and happy Canada Day! It is that kind of tingling experience isn’t Laurie? 🙂 I am pretty excited about settling into the new work.